We own a well-structured warehouse with the help of which we are capable of delivering a flawless range of products. So, you can stay rest assured with us for damage-free products. No third party involvement is there while transactions, we keep the details confidential, as we known the security issues involved while making online payment. We make available offline payment options for you in case you don't want to opt for other mode. We are one of the trusted Tool Steel Suppliers in Delhi. We source our products only from reliable manufacturers and vendors after thoroughly checking against varied quality parameters. 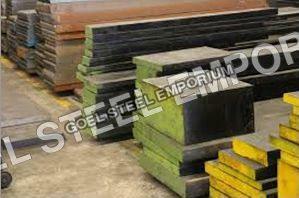 We are also reliable Tool Steel Plates Suppliers in Delhi.